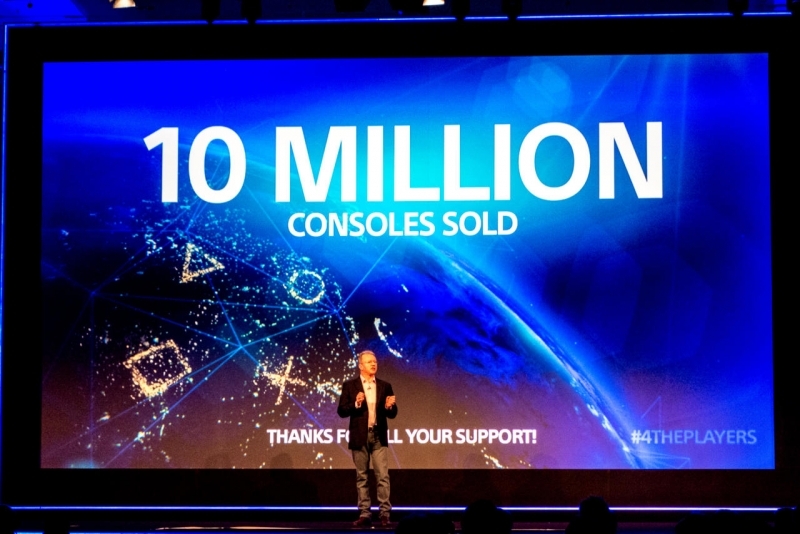 Today during its Gamescom 2014 press conference, Sony Computer Entertainment's Jim Ryan announced that the company has now sold 10 million PlayStation 4s worldwide. Sony pointed out that this isn't a shipped number, this is the amount of actual units sold to gamers. Sony said that it had sold over 5 million of its next generation consoles to gamers back in February, and now doubling that total in the past 6 months, the new console is showing no signs of slowing. The milestone accounts for figures worldwide as of August 10th and represents the "fastest and strongest" growth in PlayStation hardware ever, according to a Sony press release. Back in May during a corporate meeting, Sony's Kaz Hirai said PlayStation 4 is already profitable for the company. The increase in sales should up the numbers for PlayStation Plus as well, previously Hirai said nearly 50% of PS4 owners dropped the $49.99 for a year of the subscription based service. Having now out sold the Xbox One consistently since releasing around the same time two years ago, even special promotions and a significant price drop with the Kinect-less bundle couldn't push Xbox One ahead of PS4. Microsoft did not disclose sales numbers at its event today. While Microsoft may have landed the new Tomb Raider exclusive, Sony had a fairly strong showing with its content at today's conference as well. Along with a new title called Wild from Rayman creator Michel Ancel, we caught a glimpse of the new Ninja Theory game Hellblade, a new Bloodborne trailer and some footage for The Order: 1886.